Building up your websites reputation is an important role within the world of Search Engine Optimisation. SEO will help improve the chances of potential customers finding your website and will result in more leads and sales. 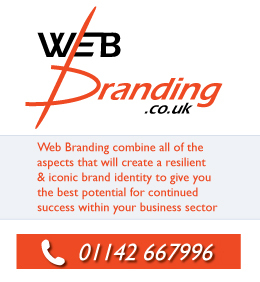 To build up your websites reputation within the online world it is worth taking into consideration the following tips to maximise business growth through effective web branding. • As a business trying to gain a good online reputation you must understand the true benefit of SEO and how it will benefit any business in the future. • Set out specific goals to become the best within your industry. Never assume that just because you have a functioning website, other sites will want to link to it. Work on your unique selling point and portray this message online. • For a successful online marketing strategy your priority should be spending time not money. Start an interesting and engaging conversation with the wealth of people online today. The ability to get people talking about your website is vastly more important than spending lots of money on large marketing campaigns. • Boost your reputation by insuring that whenever a URL link of your site is present, they are well ordered and consistent. A muddle of duplicate content will dilute the power of links, ensure links are pointing at your URL, not at pages. • Build a reputation you can be proud of. This again involves time and effort but the positive results will speak for itself. Shout from the rooftops in all the many online avenues about your brand and why you’re so good at what you do. • Think carefully about the content you’re putting your name to. Create interesting and worthy content that will rival the information your competitors are putting out there. Stand out from the crowd. • Remember that relevance is key. Ensure your content is insightful, thought provoking, original, fascinating and to reiterate, relevant. • Join in with the Social Media conversation and let everyone know how great your brand is. Push the boundaries, be honest and freely give out helpful advice. • Take advantage of online update services and social groups to enhance your business notoriety. • Everyone values knowledge. Strive to be an expert within your field and make sure your share this acquired knowledge within your sector. • Make it extremely easy for anyone to link to your site, provide artwork and html code for potential linkers to easily carry out the process. • Consider paying for Yahoo directory and submit your site to as many website directories as possible including the Open Directory Project. • Plan how to make your site irresistible to link to. These SEO Services will help you realise the benefits of building a great online reputation.